Halloween is coming! 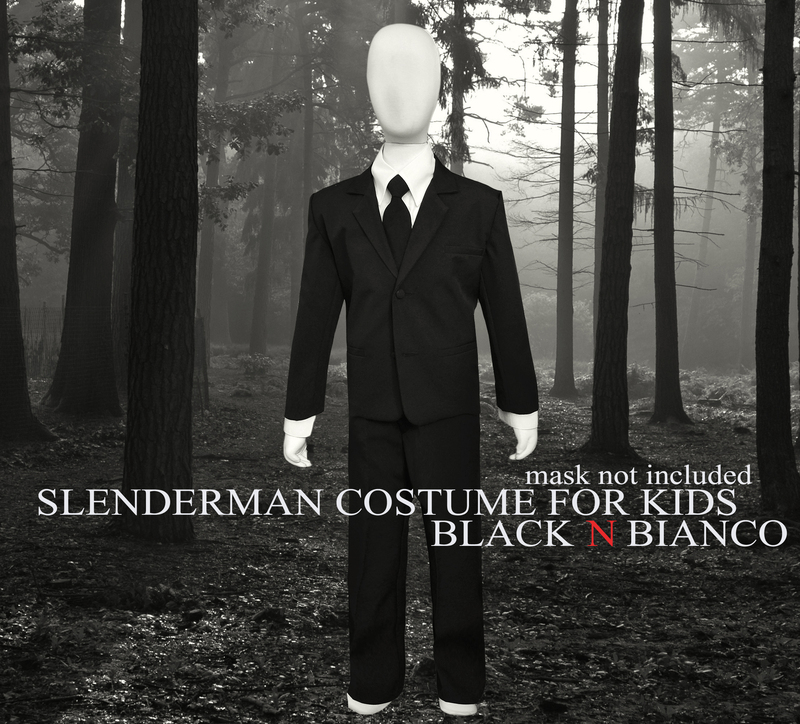 Get your little monster a slenderman costume! Halloween Slenderman Costume for Kids. It’s almost time for that special day that only comes once a year! I know when I was a kid I loved dressing up as ninjas, crazy monsters and anything that I found to be interesting. For this new generation slenderman the infamous meme is quite a popular choice. When you purchase a kids slenderman costume from us it includes everything you need to resemble slenderman minus the mask. Our boys suit in black is the perfect outfit for every slenderman enthusiast! Not only will our suit work great for a slenderman costume, but it can be worn to special events or weddings. It’s not a cheap costume that can only be worn on Halloween. Get your little monster something fitting for this Halloween! Muahahahahah!